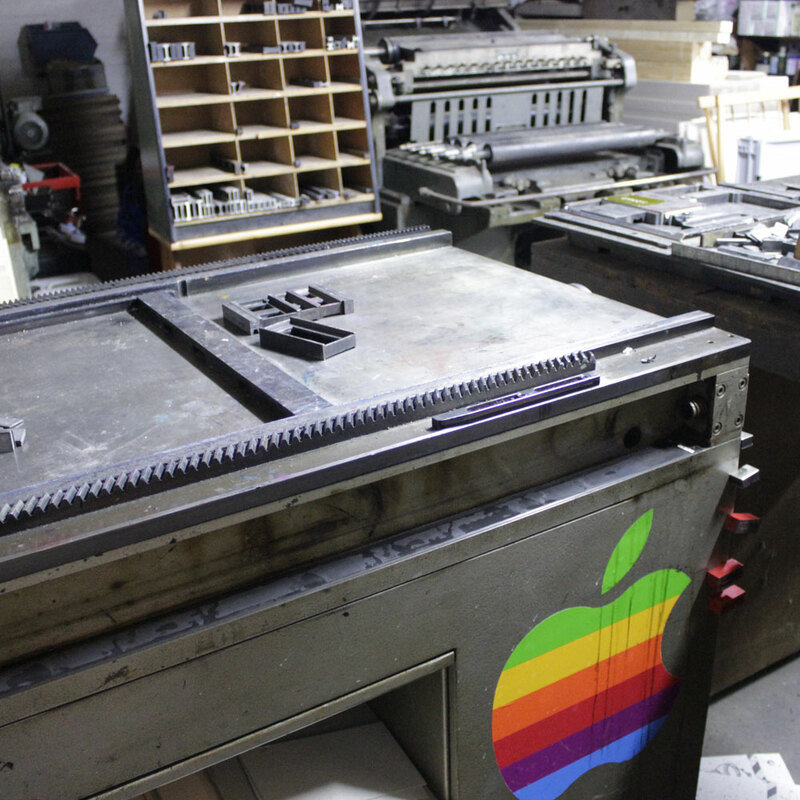 I first worked in a print workshop in 1979. The first book of my own “Edition Schwarzdruck” was published in 1990 and i have owned my own workshop, which was quite small in the beginning, since 1996. During the GDR the government wanted children to learn about future careers as early as possible. 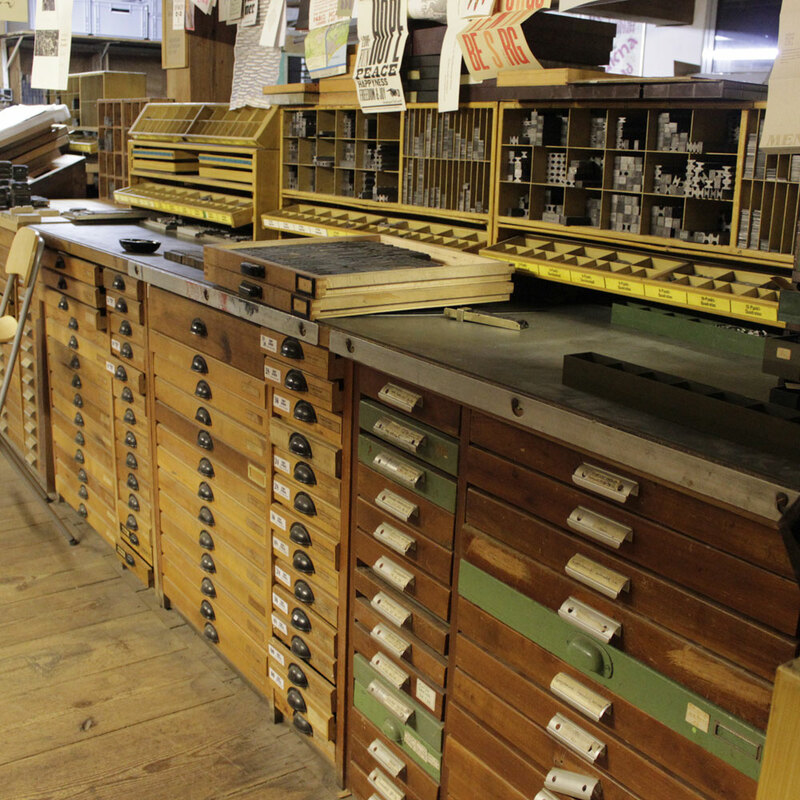 I was lucky to get into a printing workshop for young people at the age of 13. There I learned a bit about printing and typesetting. It was love at first sight. 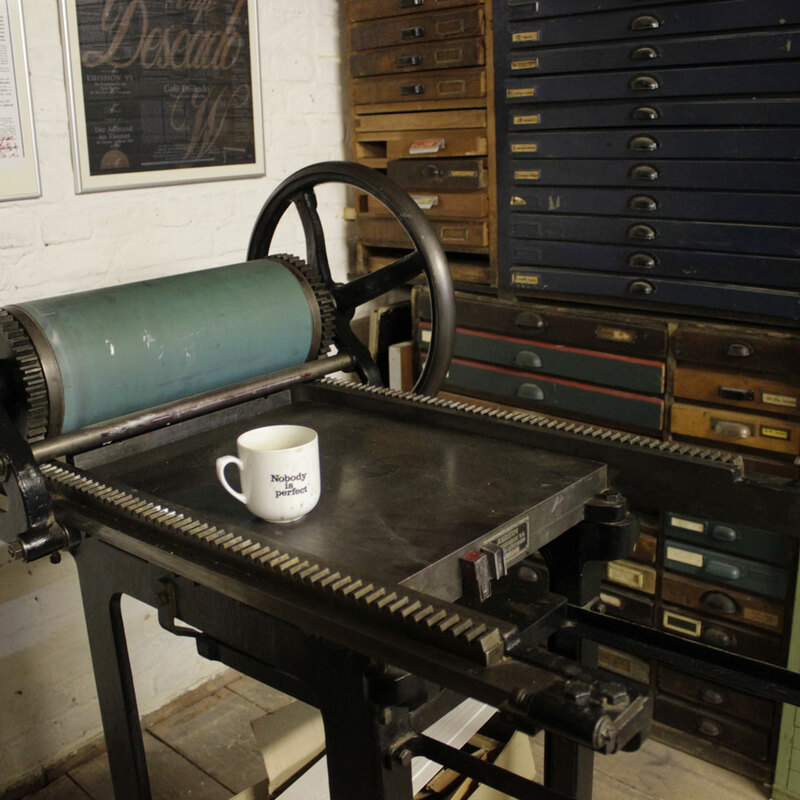 I learned typesetting in the aforementioned workshop for young people, and later I did an apprenticeship as an offsett printer. After that I took some evening classes about typography and writing letters by hand. 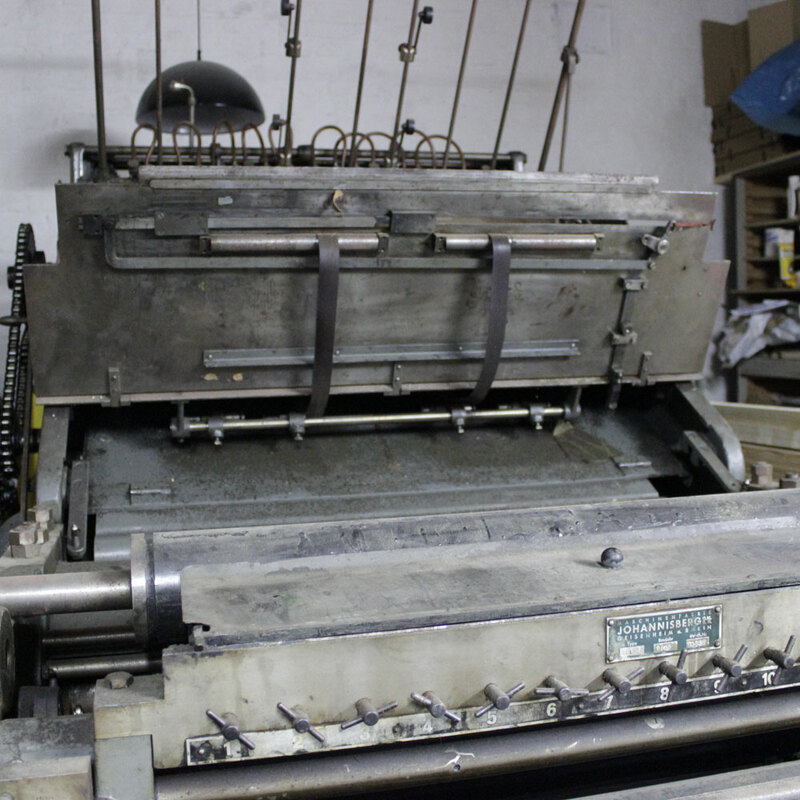 I taught myself some letterpress printing in the beginning, but only really „learned“ it while I was working at the Stamperia Valdonega with Marino Mardersteig in Verona. My most influential teachers, in many respects, were Wolfgang Holtz, who was running the workshop for young people, Dieter Wagner, a printer from Berlin, Taioli, who was a colleague of mine in Verona and whose surname I have totally forgotten but who has been the most perfekt craftsman I have met so far, then there’s Lothar Micklei, a German Printer who worked in Amsterdam, and lots and lots of books. As somebody born and raised in Eastern Germany, I don’t know much about Superheroes but I’d love to be able to predict the future, including lottery numbers and football results. I don’t think you can do design in a team without making compromises; therefore I prefer to work alone. But on the other hand making books is always teamwork: authors, editors, illustrator, bookbinders – they all work together. I also like to contribute to group projects with other letterpress printers. I even organised some of those myself. Honesty, reliability, humour, intelligence and an active interest in current affairs. Shortly before I fall asleep. And while I’m working. I hope as my favourite typeface Pabst, which is a peculiar American typeface from the 1920s which hardly anyone knows. My Computer. And while printing, the Pica ruler. I always read two or more books at the same time. Right now, I’m reading two crime novels, a book about the early history of woodcuts, another one about vector graphics and the diaries of Mark Twain. And there are always a lot of manuscripts that were sent to me. I’m quite happy with my workshop as it is, especially as it took 20 years to get everything up and running. If only I had enough time for cleaning up …. I’m happiest if I can work on my own projects without pressure. This doesn’t happen very often, and there is always some deadline for projects that have to get finished. Apart from being worried about world peace and social justice I always worry that one day, for health reasons, I might not be able to finish at least the most important printing projects I have already planned. I like to think of my prints and books as a kind of suggestion to my contemporaries. I only work with texts I like and that I regard as somehow important. I always try to put it into a functional, legible and interesting form. If everything goes well the result will make people like it, enjoy it, think about it and take pleasure in it. Of course it may happen that people don’t accept my suggestions. I’m aware that by printing small editions that are not easy to distribute may not change the world or improve mankind, but still… the books are out there and maybe one day in the future someone will find them worth regarding. That’s why printing a number of copies is important to me: even if some copies are destroyed or thrown away, a few examples may survive. 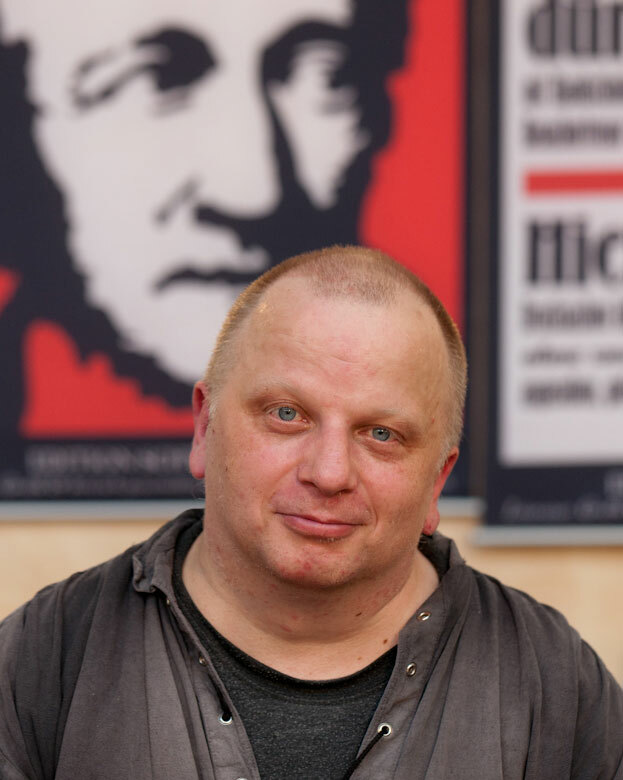 I do a large variety of jobs – I work as a graphic designer, typographer, book designer, publisher, typesetter, printer, curator for exhibitions and projects, and sometimes as a DJ. For example, this week I’m working on a leaflet for a publishing house, on a book about Greek Mythology, the cover of a novel and a concert poster. And apart from that digital work, I still had to print some invitations, some business cards and a linocut. I earn my living by doing book design, typesetting and graphic design on the computer. 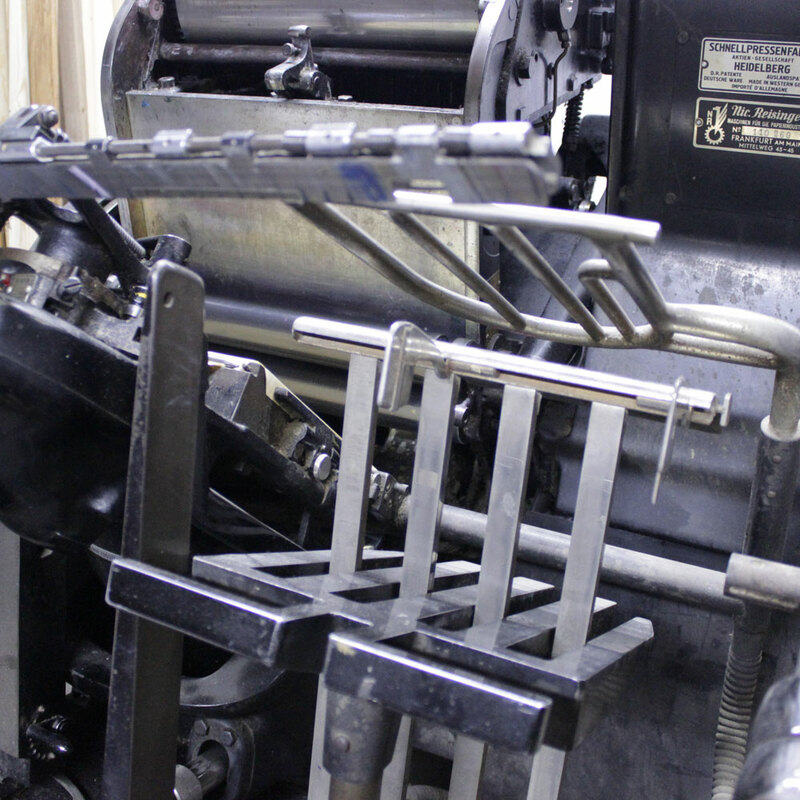 I couldn’t live from making letterpress-prints and -books only.